My first Android App is now available on the play store, cataloguing thousands of ghost reports in the UK: please look here. Please consider purchasing items from Amazon by clicking on the image here, and then continue shopping as normal. We get a tiny commission from any sales made due to linking to this website. The commission is not passed on to you. Thanks! If you like this website, please consider making a donation to keep it running. Thank you. My Doctor Who pages, specifically, the "Missing Episodes"
Why not become a friend of mine on Google+, or join my LinkedIn network? Please visit my market store. I aim to put new items up for sale every few days. Find out what's new on this website. 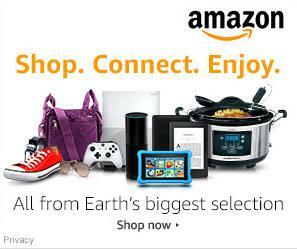 Please consider purchasing items from Amazon via the links on this website, and then continue shopping as normal. We get a tiny commission from any sales made due to linking to this website. The commission is not passed on to you. Thanks!